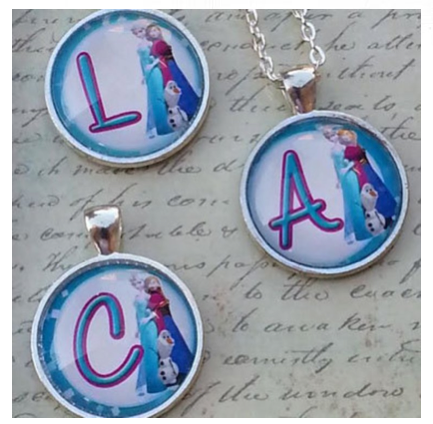 Disney Frozen Initial Necklaces Only $9.99 + FREE Shipping! You are here: Home / Great Deals / Disney Frozen Initial Necklaces Only $9.99 + FREE Shipping! Disney Frozen Initial Necklace Only $9.99 + FREE Shipping! Have a little Frozen fan? Then she is sure to love her own Disney Frozen Initial Necklace, which is only $9.99 + FREE Shipping right now! This pretty initial pendant featuring Anna, Elsa, & Olaf is personalized with the letter of your choice. Each pendant is created with a 3 mm silver plated bezel frame and glass dome.